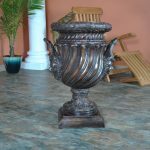 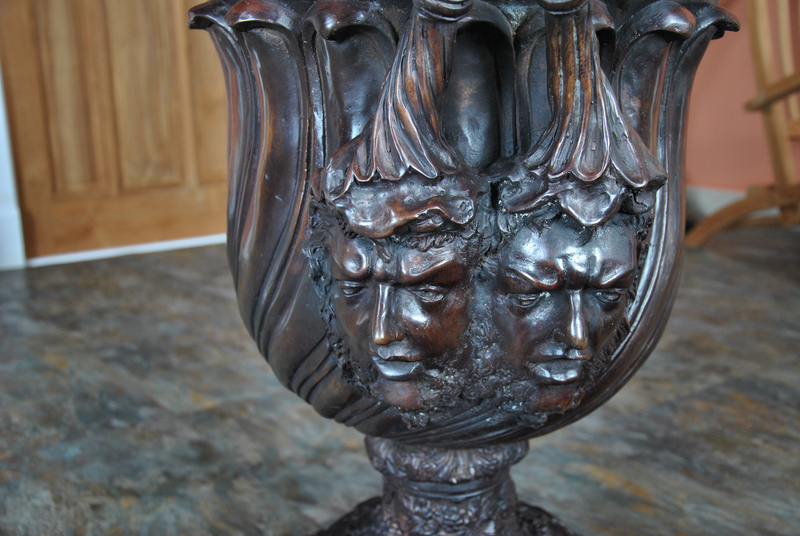 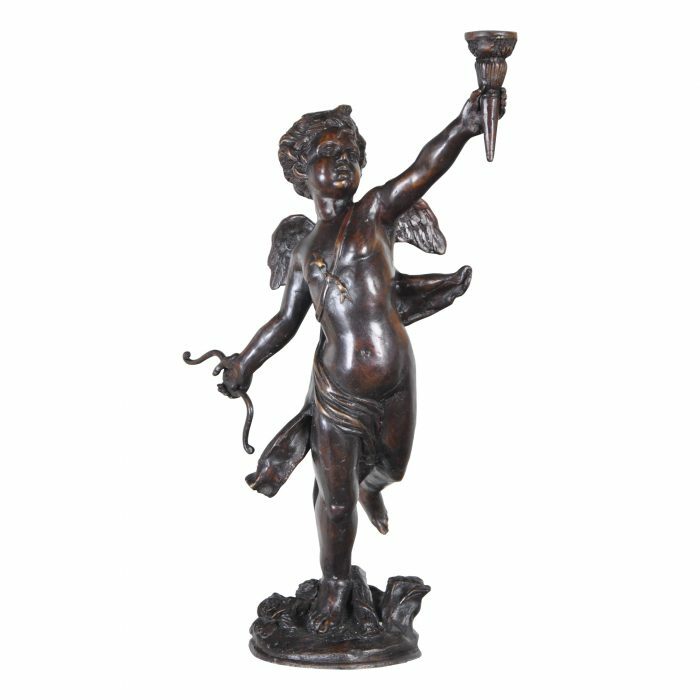 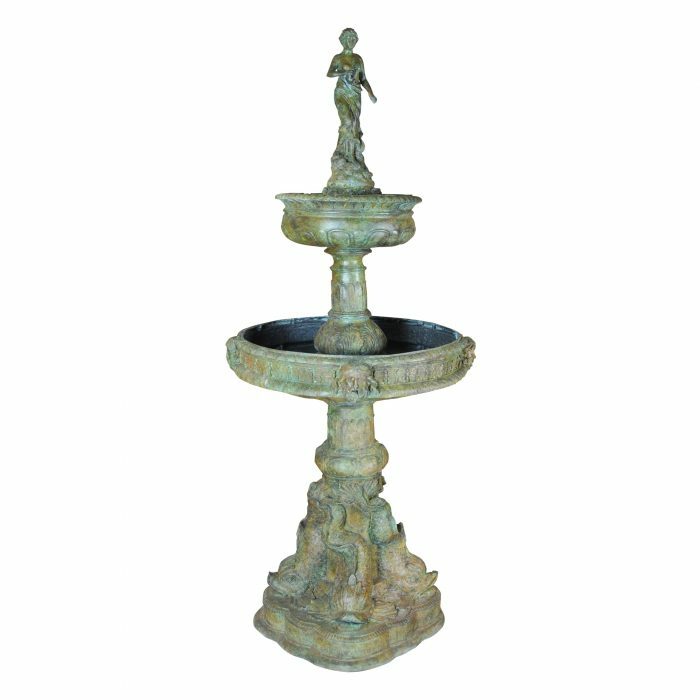 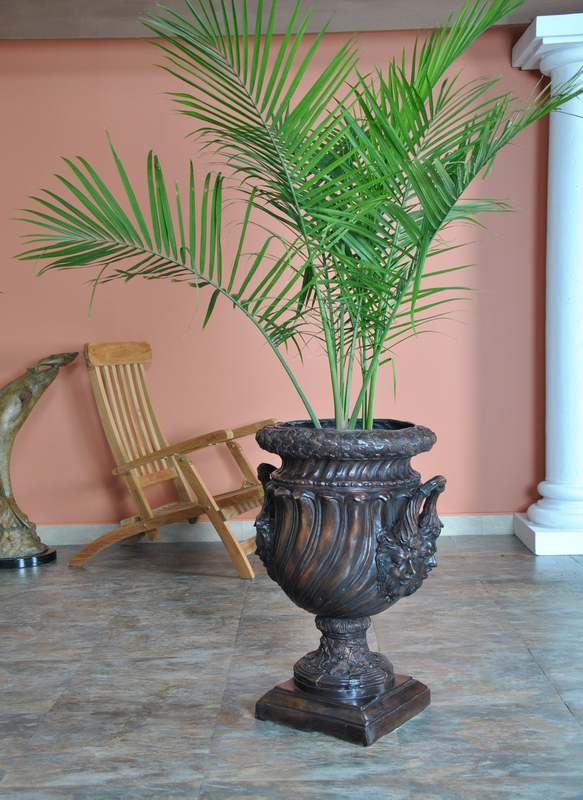 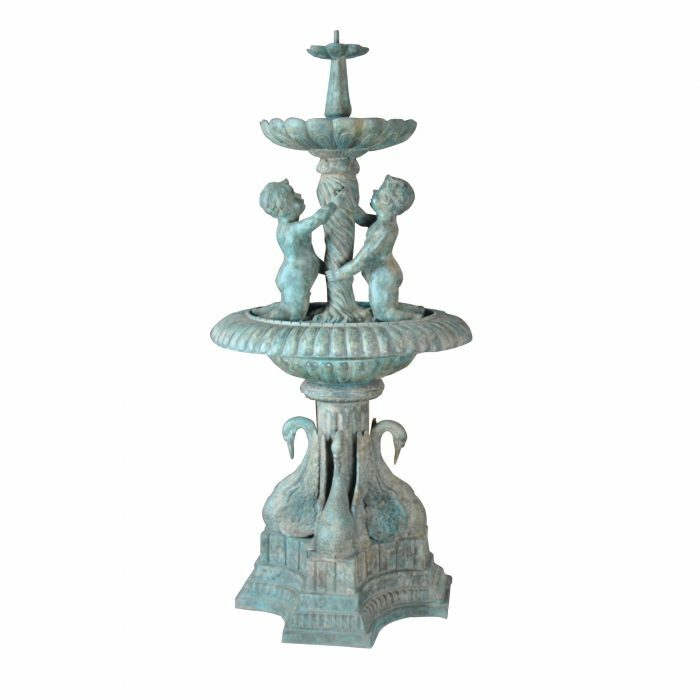 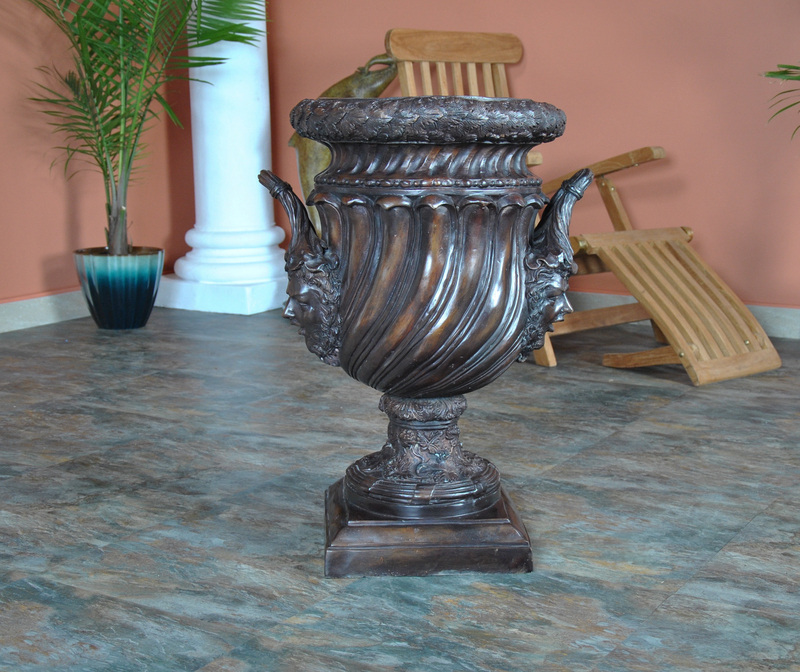 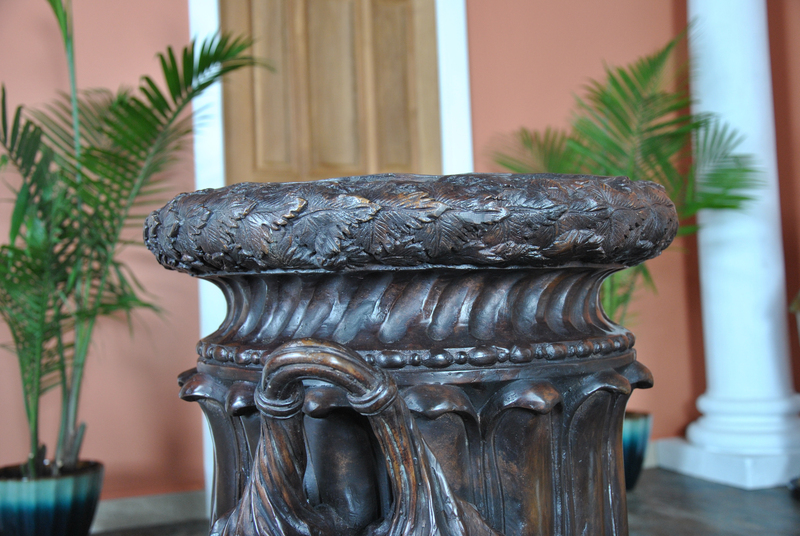 This fantastic quality Bronze Classical Urn makes for a striking display piece. 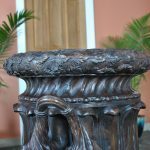 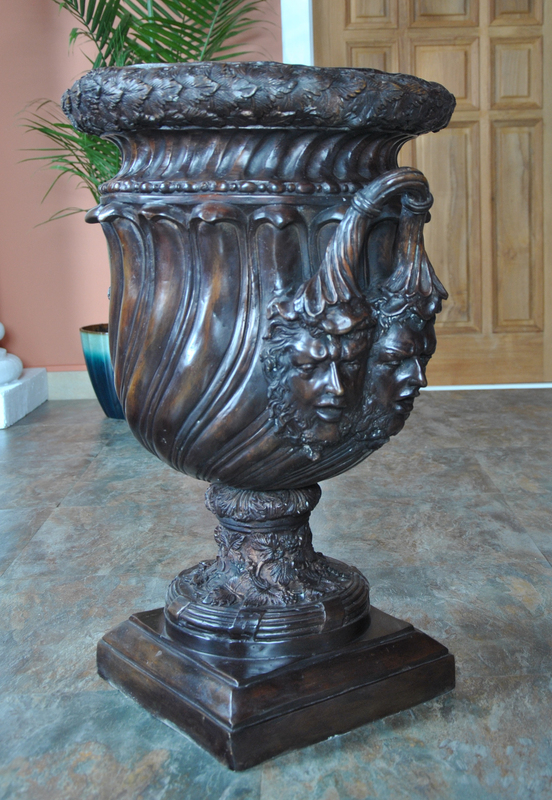 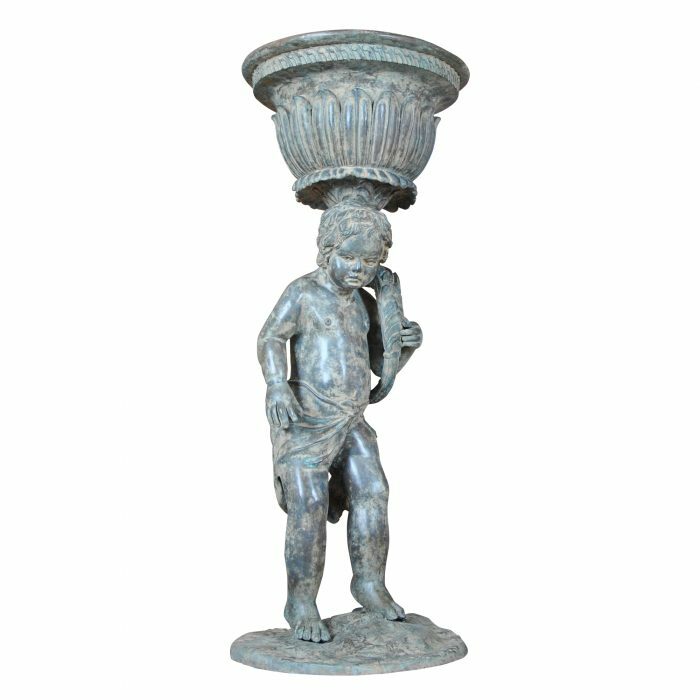 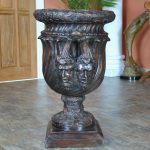 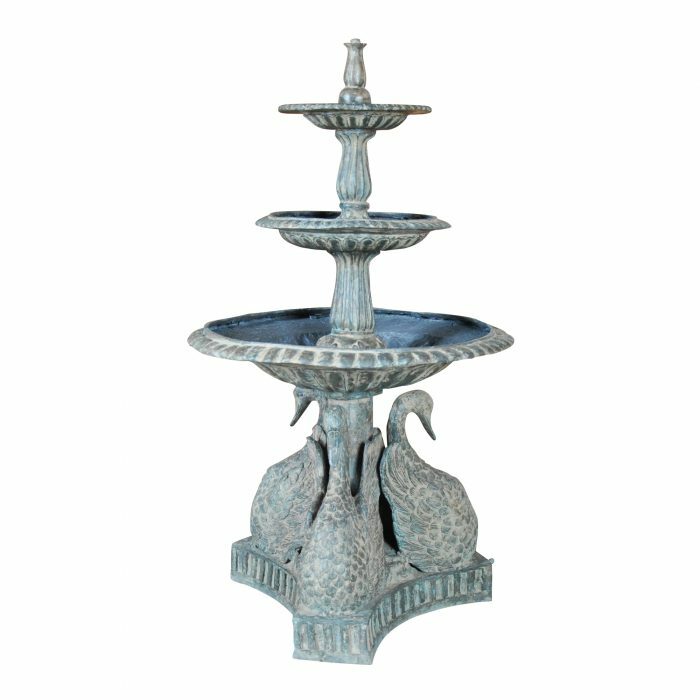 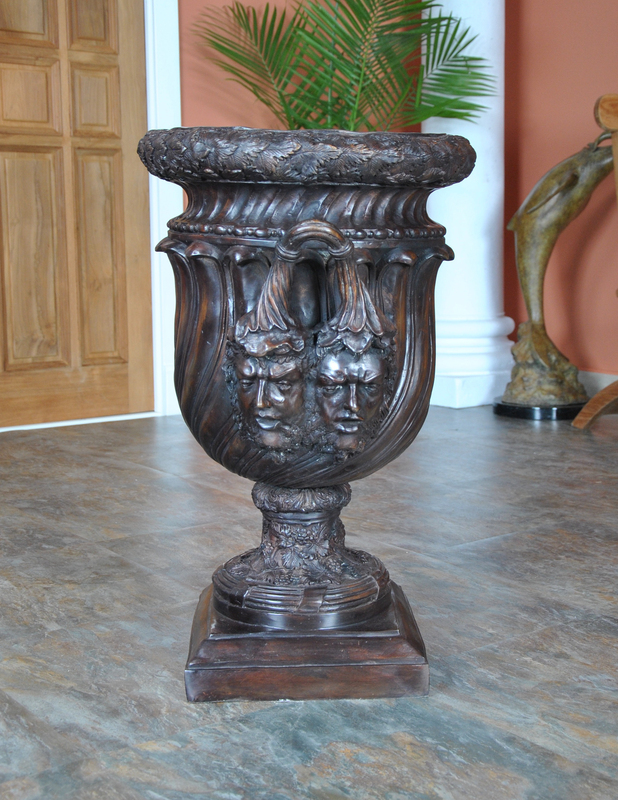 Standing approximately 31 inches tall the Niagara urn is beautifully proportioned and adorned with classical inspired faces as well as laurel leaves, oversized handles and grape vines. 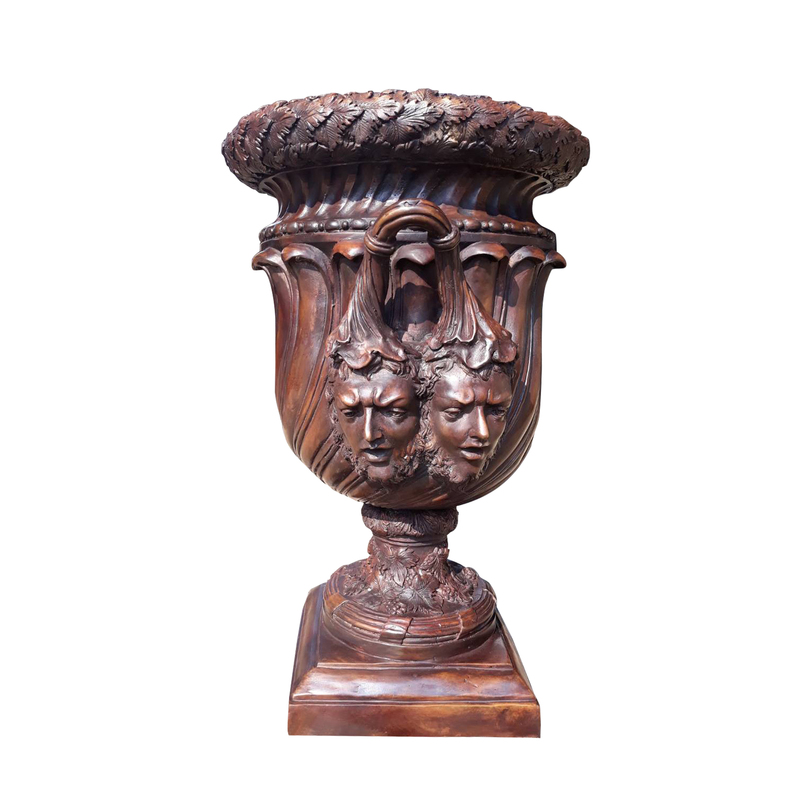 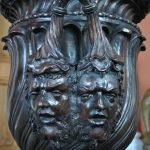 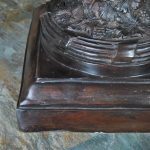 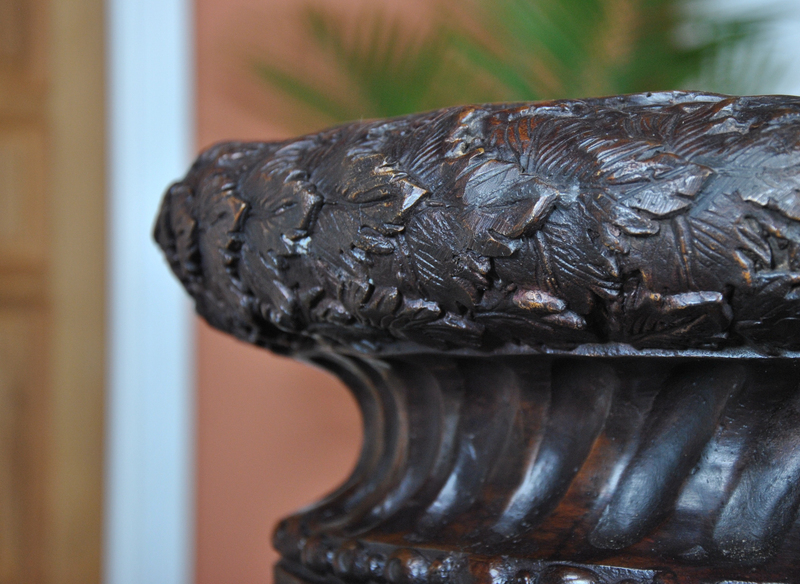 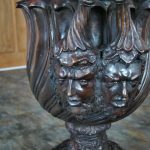 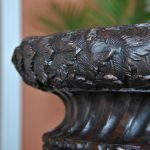 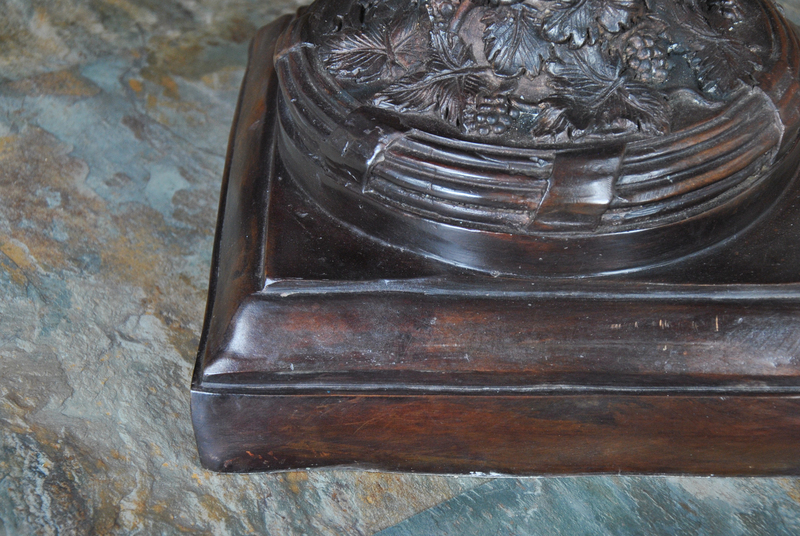 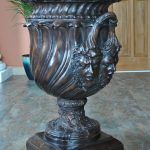 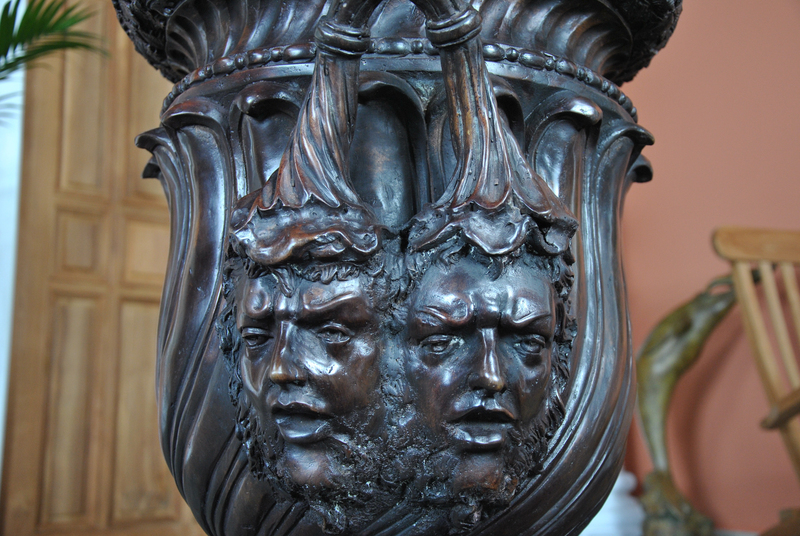 The urn is finished in a multi stage, time consuming process requiring skilled and experienced artisans that produces a depth of color normally only found in antiques pieces of similar quality. 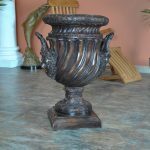 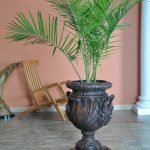 The rich shades of brown give this urn a great presence for displaying large oversized plants either in the garden or it can also be used to decorate indoor spaces as well. 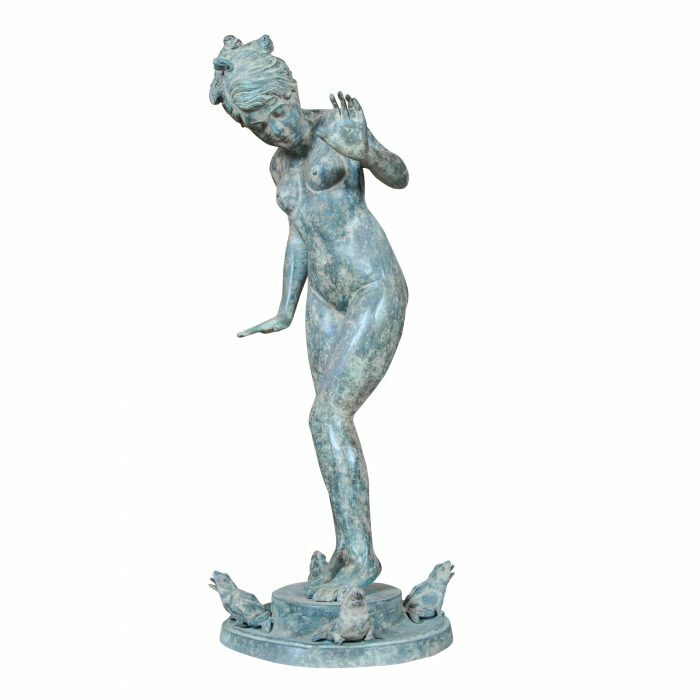 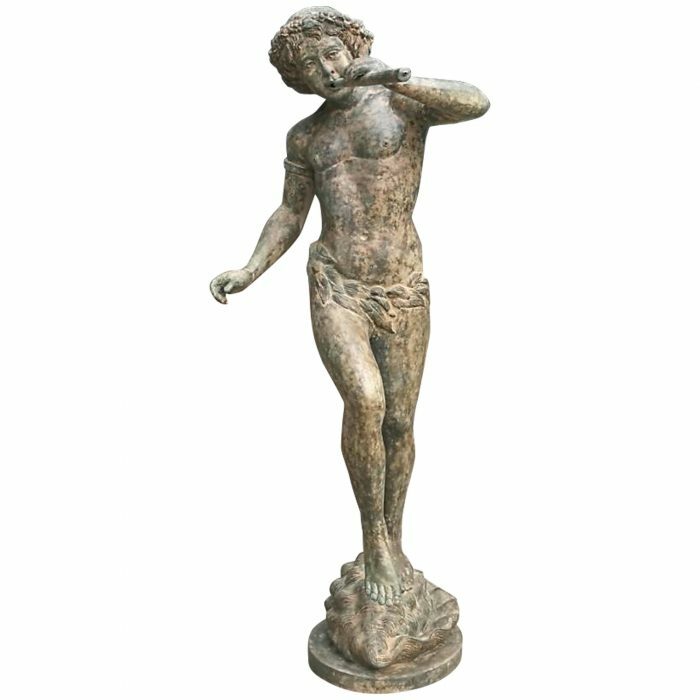 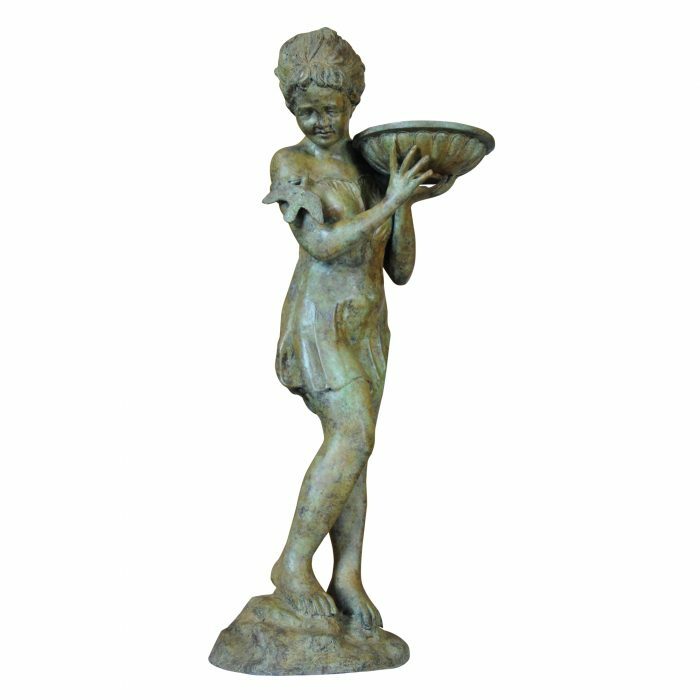 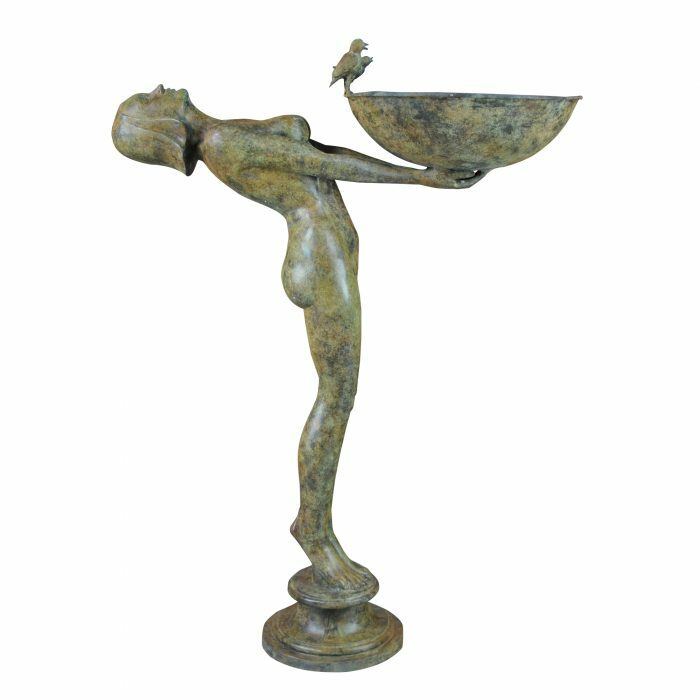 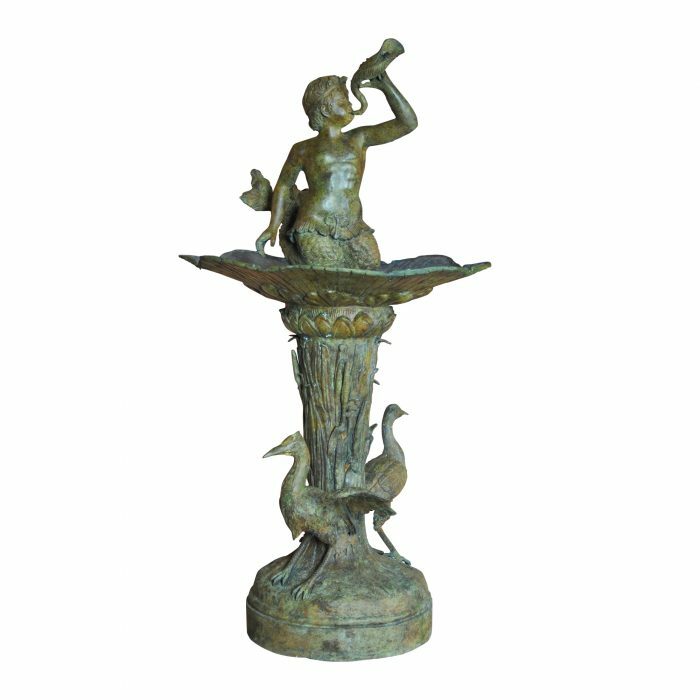 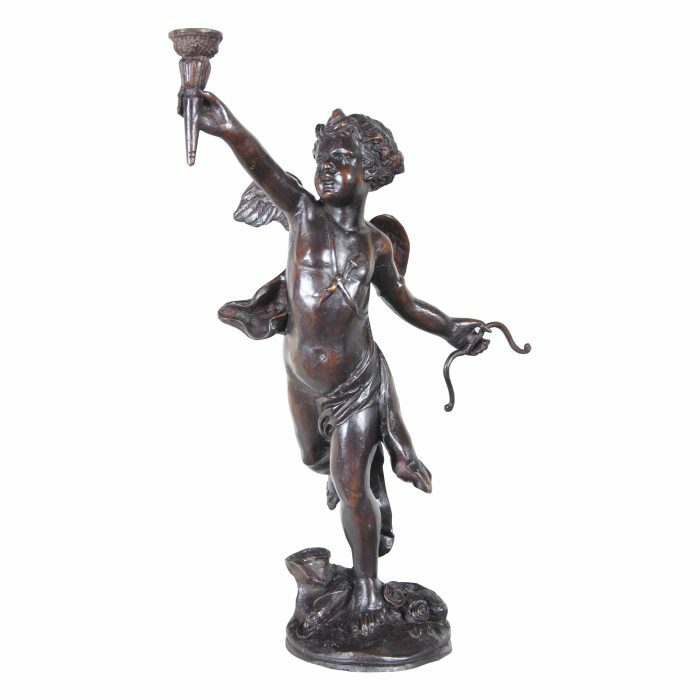 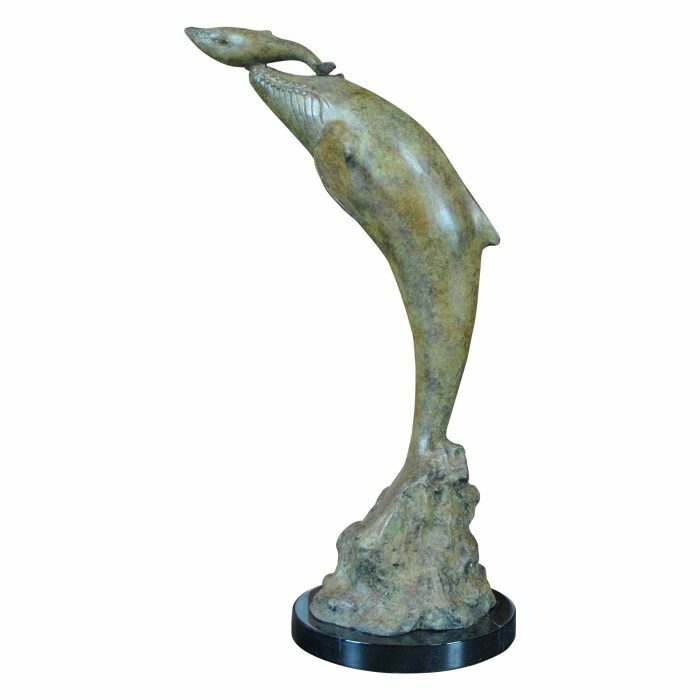 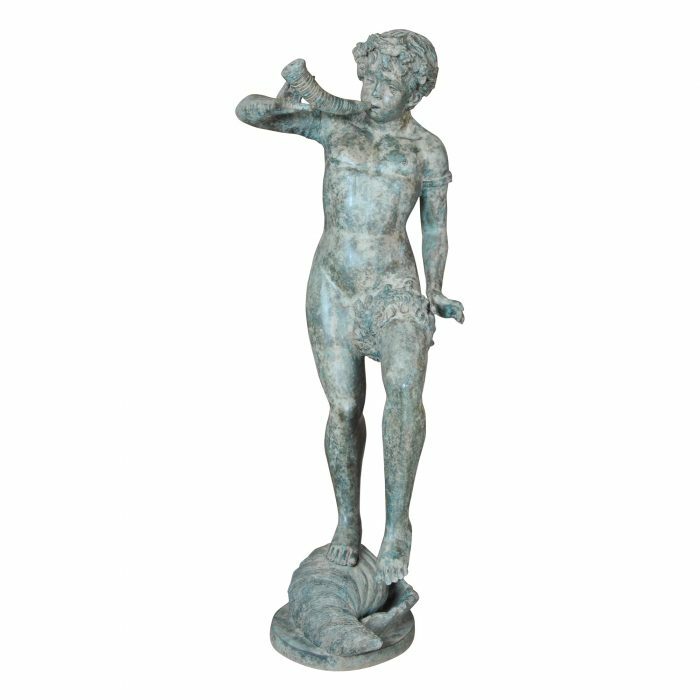 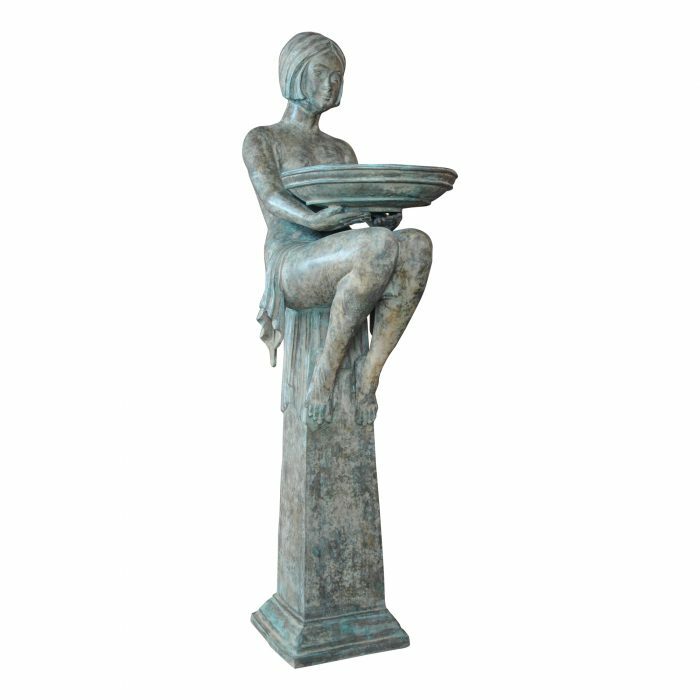 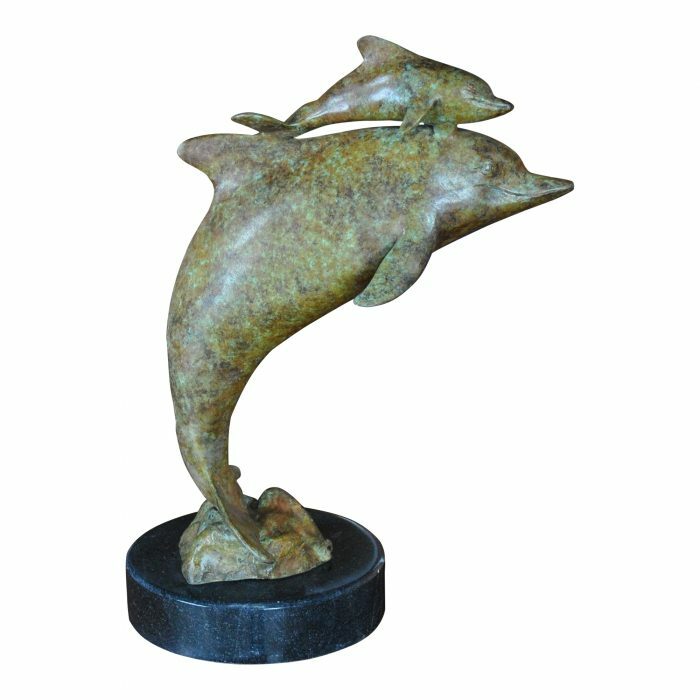 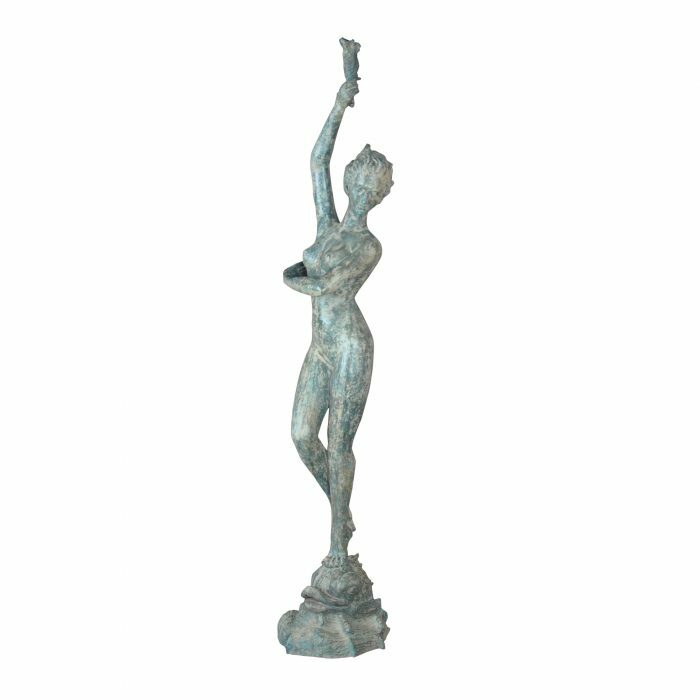 This figure has been created using the “lost wax” casting method in which several large bronze pieces are cast and then brazed together to create a single urn with hand chasing details throughout. 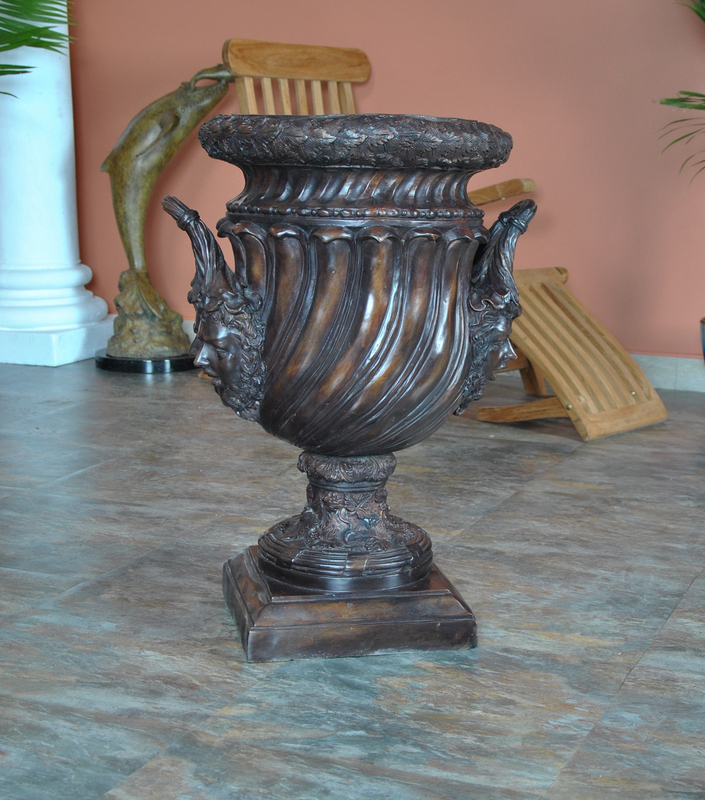 The final shape resembling a piece that might have been at home either in ancient Rome or a nineteenth century English estate.